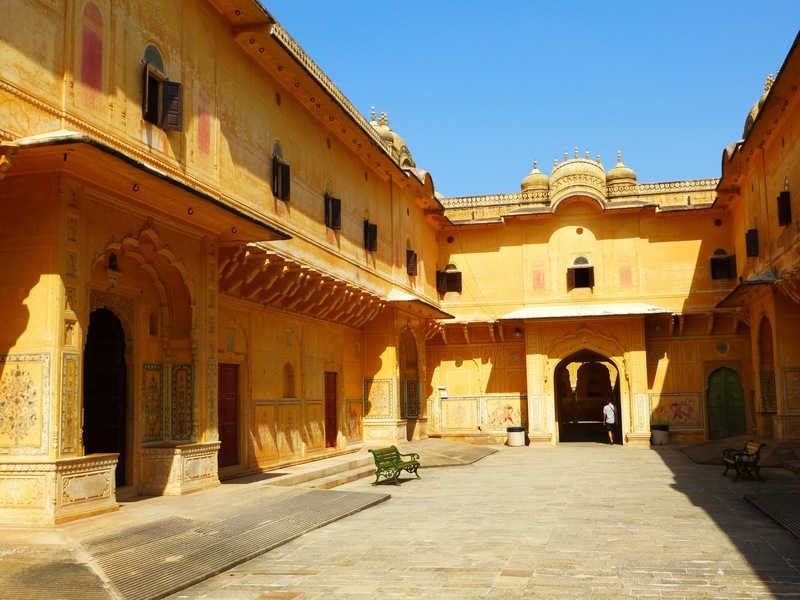 Amber, ex-capital of the most powerful Maharaja | Hello World! 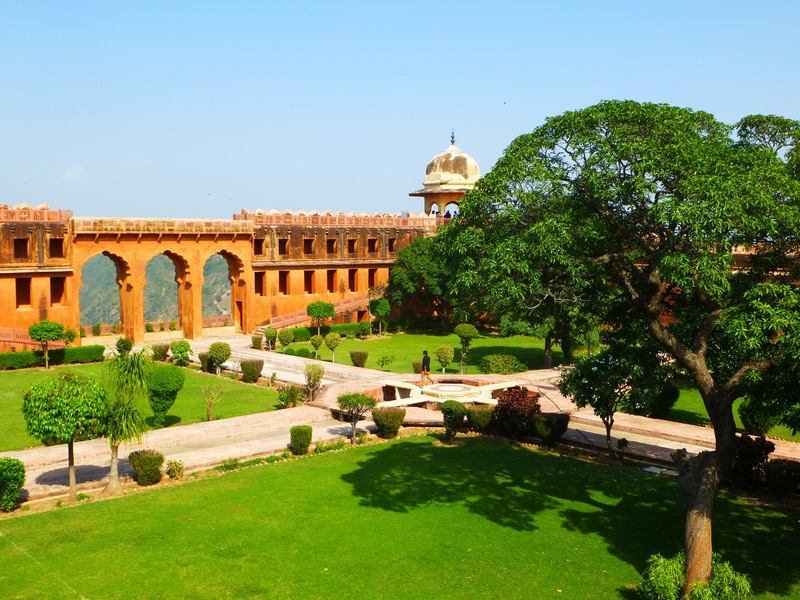 Amber was the previous capital of the Jaipur Maharaja before the decision of building Jaipur was made. 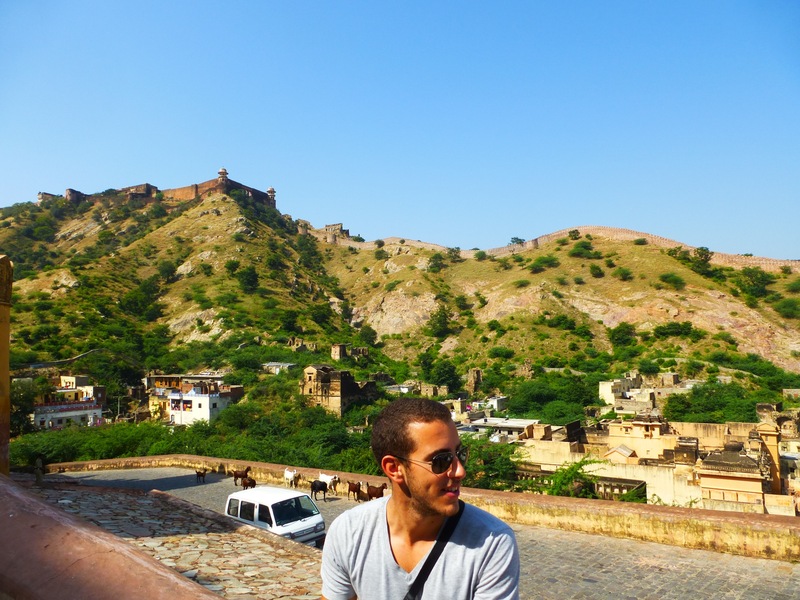 And in comparison, it now looks like a very peaceful village. 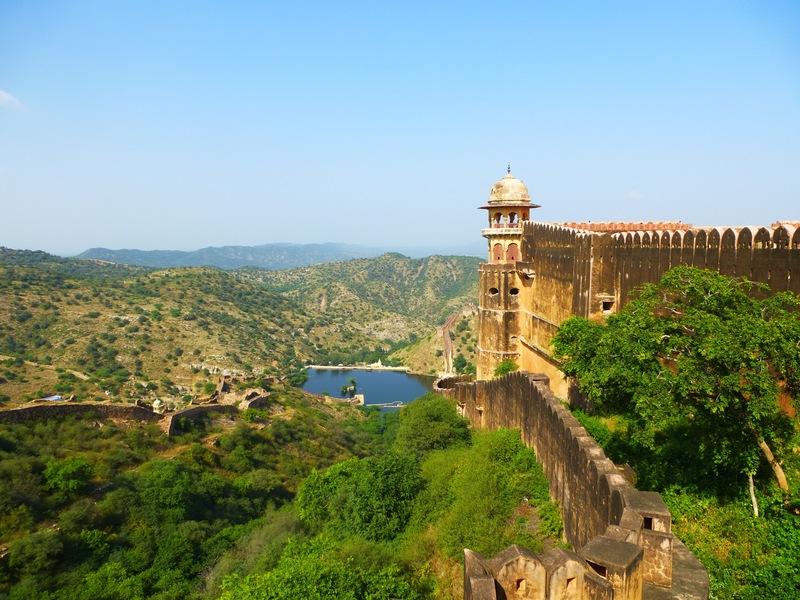 Amber was a war-designed city, controlling a strategic gorge on the way to Delhi. 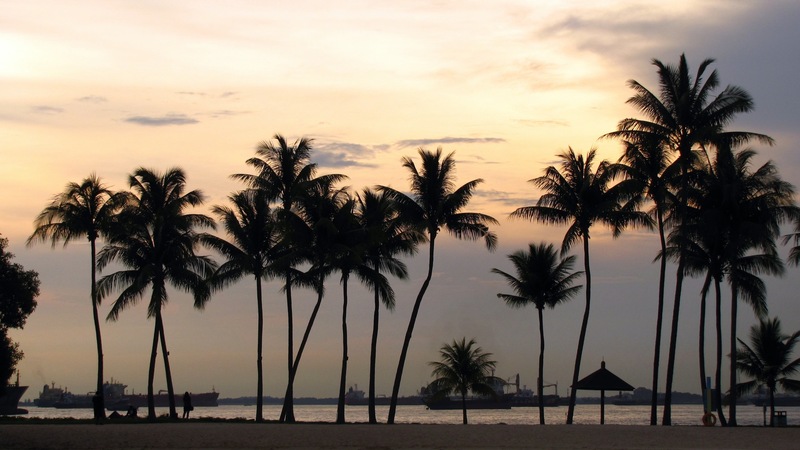 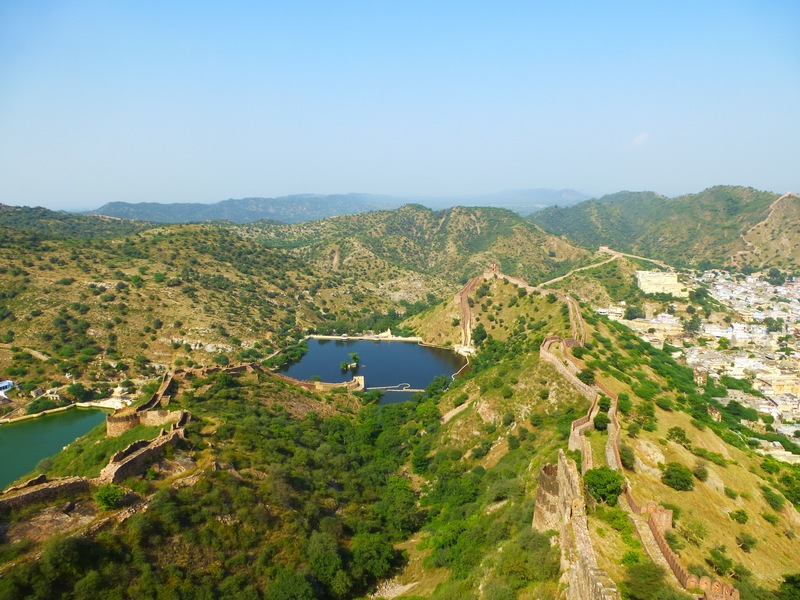 The city is protected by 3 forts surrounded by kilometers of walls to prevent anyone from entering (it’s like of mini version of the Great Wall of China). 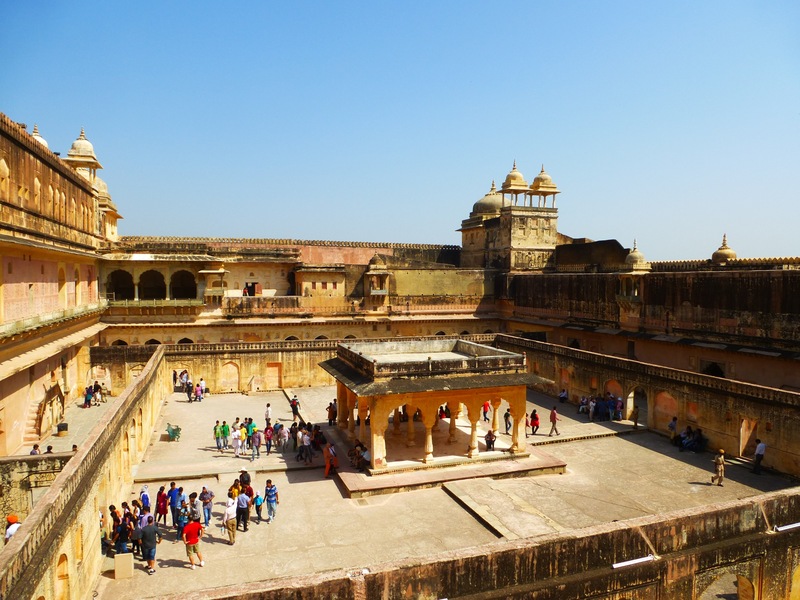 Amber Fort is the biggest palace of the city, and was principally serving as residence for the 12 favorite wives of the maharaja (out of 300… must be hard to pick 😉 ). 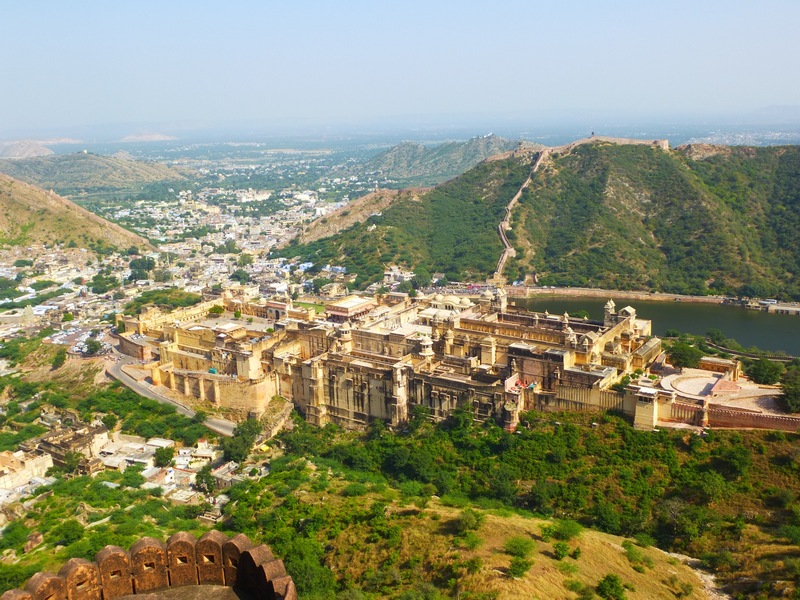 In case Amber Fort – being more of a palace then a fort – was conquered during a war, Jaigarth Fort was connected through a secret passage for the maharaja to take refuge there. 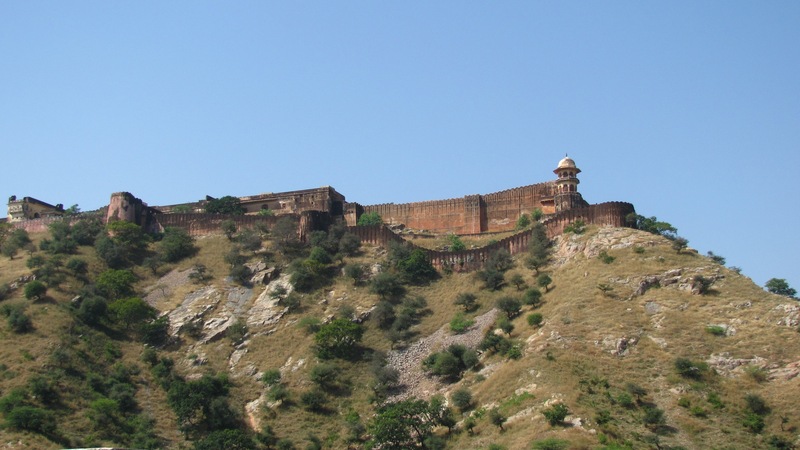 Jaigarth Fort, although having a palace part as the residence of the maharaja, is mainly military. 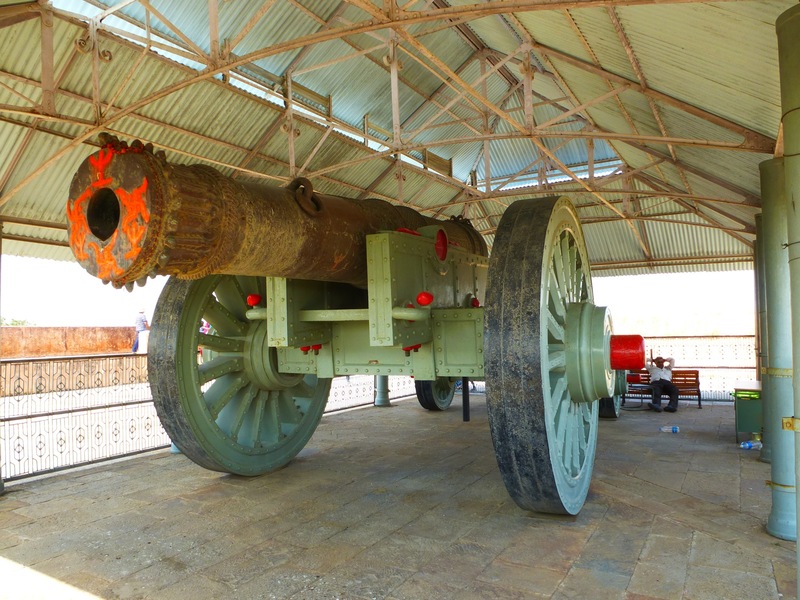 The world’s largest canon, Jaivana, has been forged here, and is still overlooking the valley. 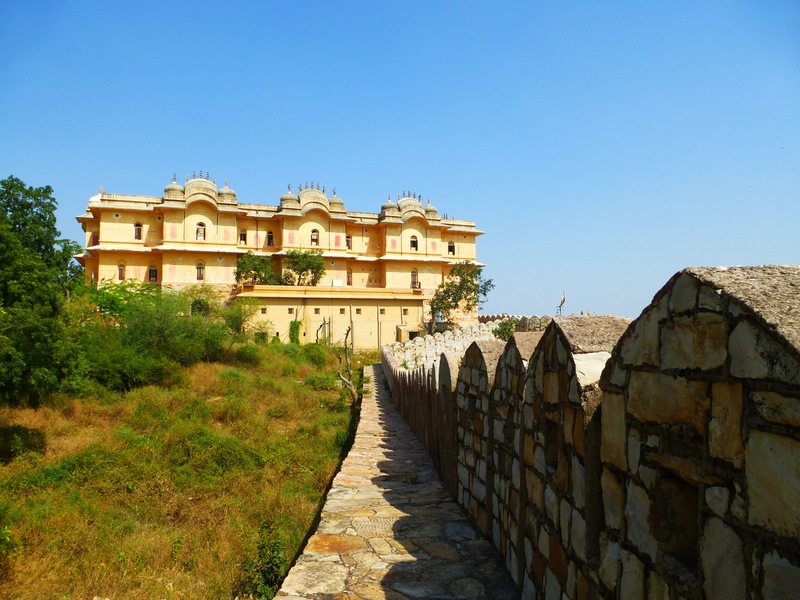 Apart from that and the beautiful Garden Palace and its panoramic view in the Maharaja’s residence , the fort is pretty much empty. 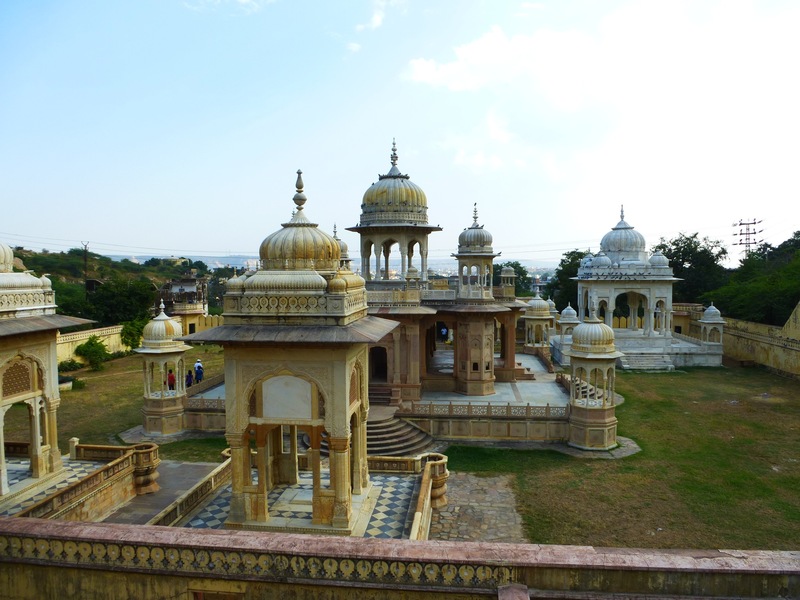 We ended our day on a more enjoyable note at the foot of Nahargarh hill: Gaitor, the place of the chhatris (cenotaphs) of the Jaipur maharajas, erected on the very place they were incinerated. 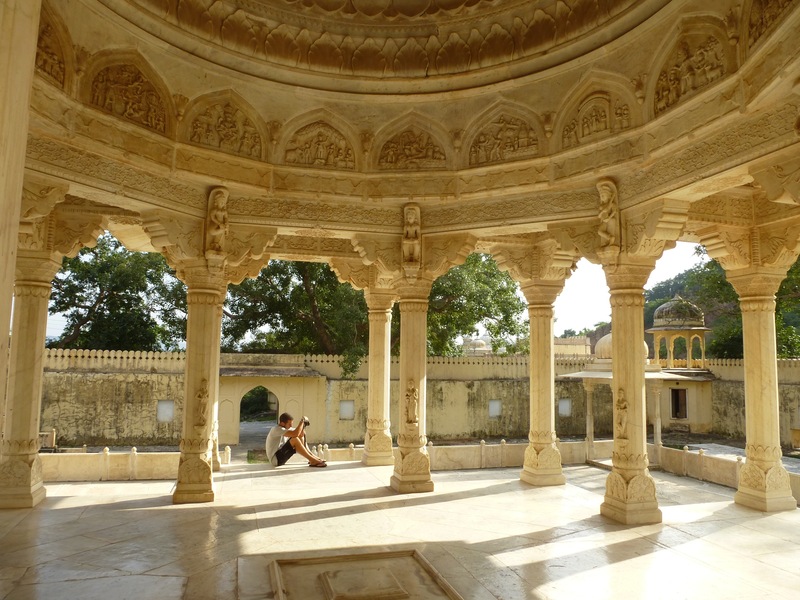 We found there half a dozen white-marble memorials with magnificent sculptures and encryptions. 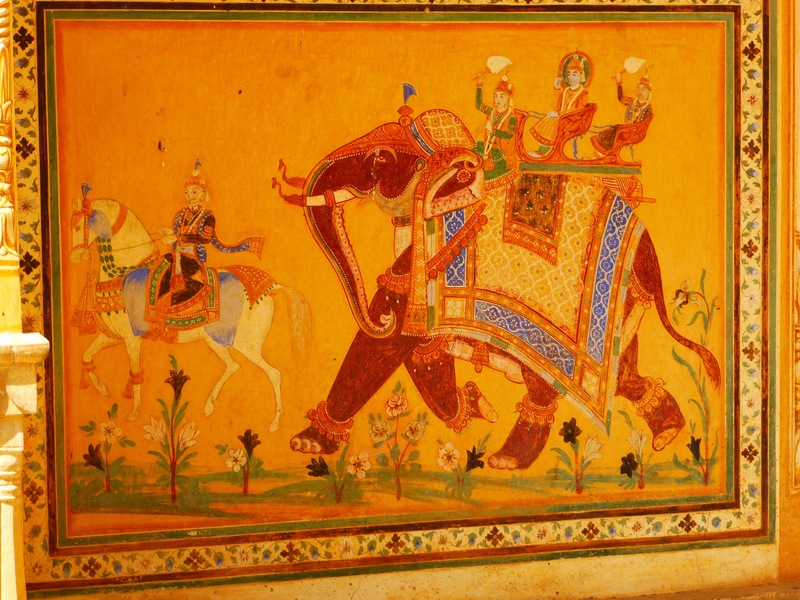 Globally, Jaipur/Amber hasn’t been the place we’ve seen the most beautiful monuments. 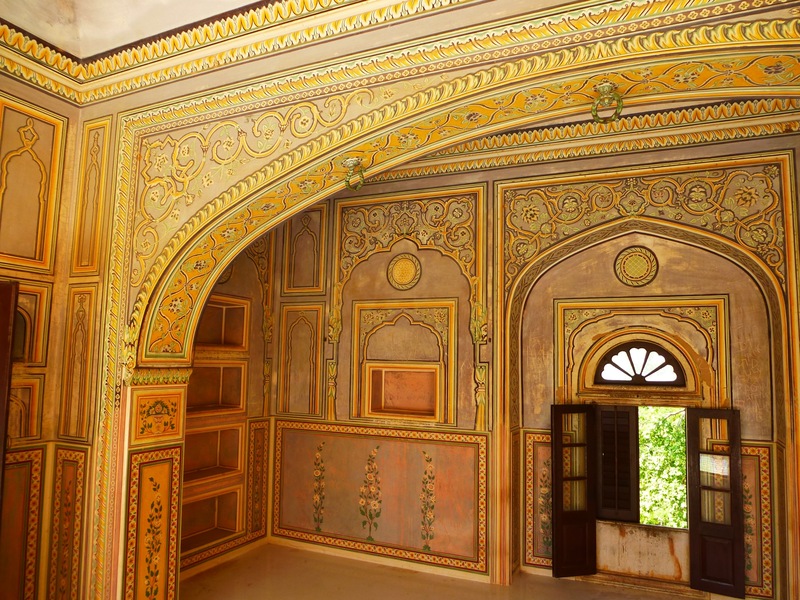 We’ve been really disappointed by the close to zero effort made in preservation and renovation of the palaces. 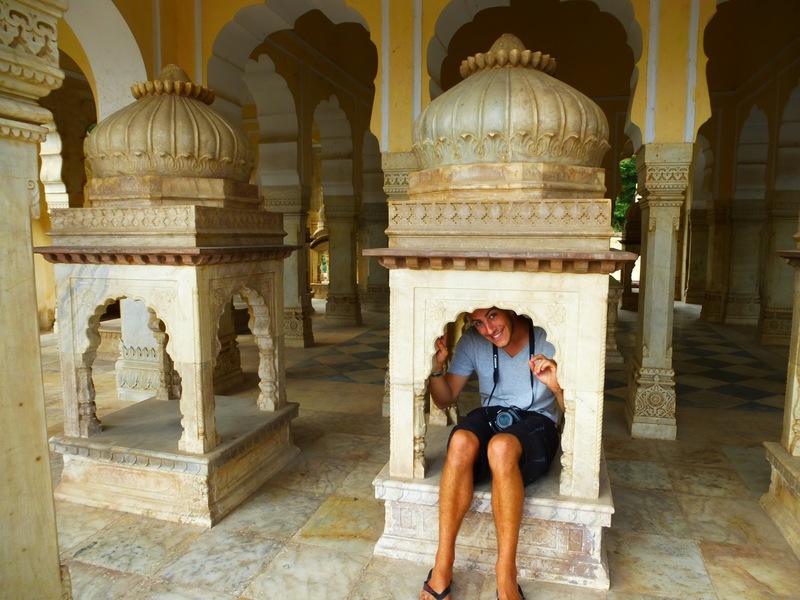 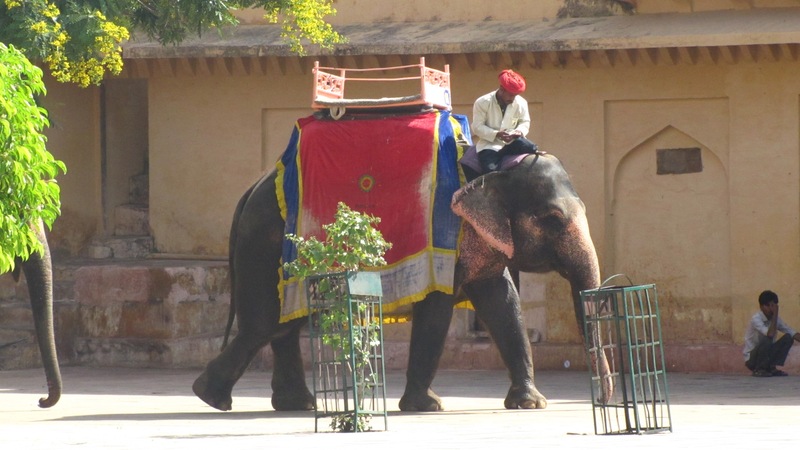 Most of the sites were empty, colorless and filled up with garbage… Nonetheless, we could really feel the powerfulness of Jaipur maharajas, and we’ve been able to have a pretty good understanding of the History of Rajasthan.